As we know the kitchen is one of the most important rooms in the house so we want it to be smart as well as functional, but when money is tight and changing the layout of the kitchen is not an option you can use some clever cosmetic alterations that won’t break the budget.
. Spray paint over existing wall tiles.
. If cabinetry is in good condition just replace the cupboard doors & handles.
. Replace kitchen tap with a more modern one.
. 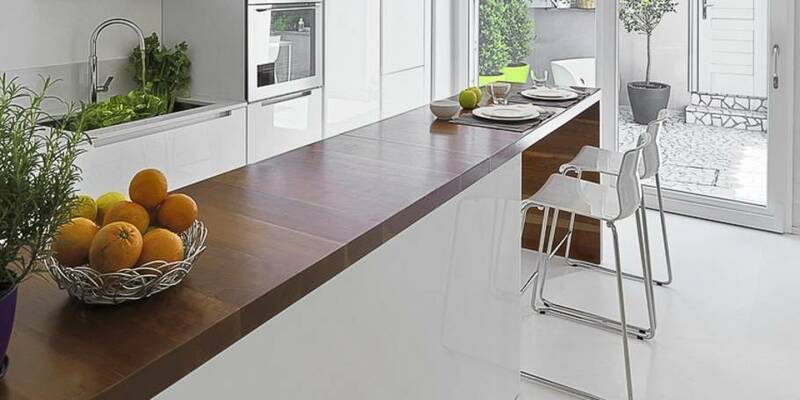 If the sink is scratched, replace it.
. New bench tops are a must. Laminate is available in endless colours and finishes that look like real timber or stone and won’t break the budget.
. New appliances will take up the bulk of the budget. By buying oven, cook top, range hood, dishwasher and fridge in all the same brand you will not only create a more seamless look but it’s highly likely you will get a discount by doing a one stop shop. Six simple ideas to add value to your home. Fantastic for those who love to cook and spend a lot of time in the kitchen or perhaps a kitchen makeover may even find the inner cook in you. On Homeimpovement2day you will all the trades and suppliers you need to make your kitchen makeover a success.